Charly Bushoff is a Dutch ceramist and designer based in Utrecht. 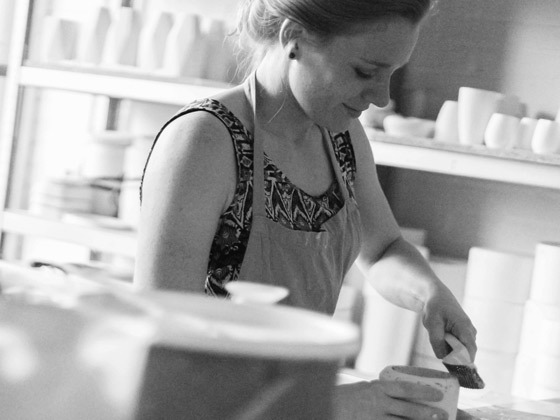 Natural materials have always interested her and when she discovered ceramics she became obsessed. As a young creator and being fresh in the scene she always looks at designs differently to find new ways to apply techniques. She creates interesting visuals en designs with a function by experimenting in an intuitive way.